Ffiber can help improve gut health, benefit gut flora, boost weight loss, and lower the risk of heart disease, and type 2 diabetes. Most Americans get on average 15 grams a day, which is less than the recommended amount! And being on the ketogenic diet isn’t much different. Many fiber-rich foods also contain carbs and carbs aren’t keto approved. But, the good news is that certain foods are keto approved and rich in fiber! Also, many fiber supplements on the market are a perfect fit for any keto dieter as they’re low in carbs and naturally high in fiber. How to improve your digestion and overall health? 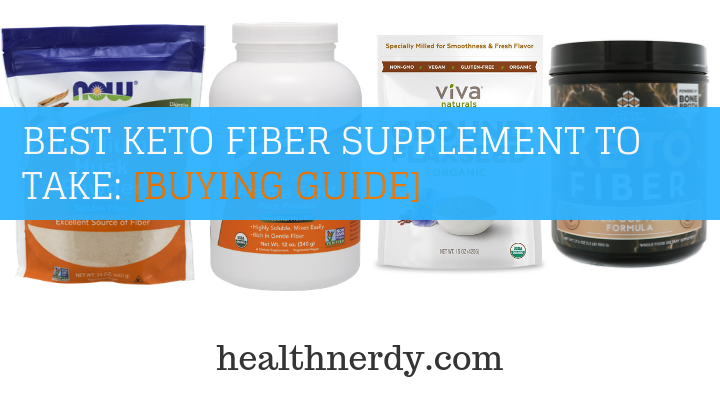 I review the best keto fiber supplements! How Much Fiber Should I Take on a Ketogenic Diet? Fiber Intake! Using Metamucil on Keto? What is It? Eating foods rich in fiber is essential even though a bit difficult on the keto diet. That’s where you may need best fiber supplement for keto diet. I’ve gathered the best supplements you can use in your keto recipes. Most of these are easily added to any meal on your menu, and they all provide you with unique and practical benefits. Derived from the husk of Plantago Ovata plant, psyllium is a natural soluble fiber. This supplement has mild laxative properties, which improve the bowel movement and relieve constipation. 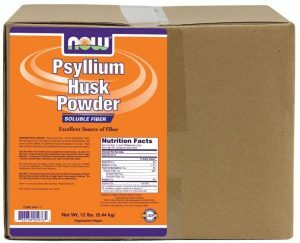 You can add the psyllium husk powder to your beverages or baking recipes; it’s very convenient! NOW psyllium husk powder contains only 8g of carbs per serving which makes it an excellent addition to your keto diet. The product is also tested for purity and quality regularly. It’s a high-quality supplement that’ll benefit your overall health and help you maintain balance! 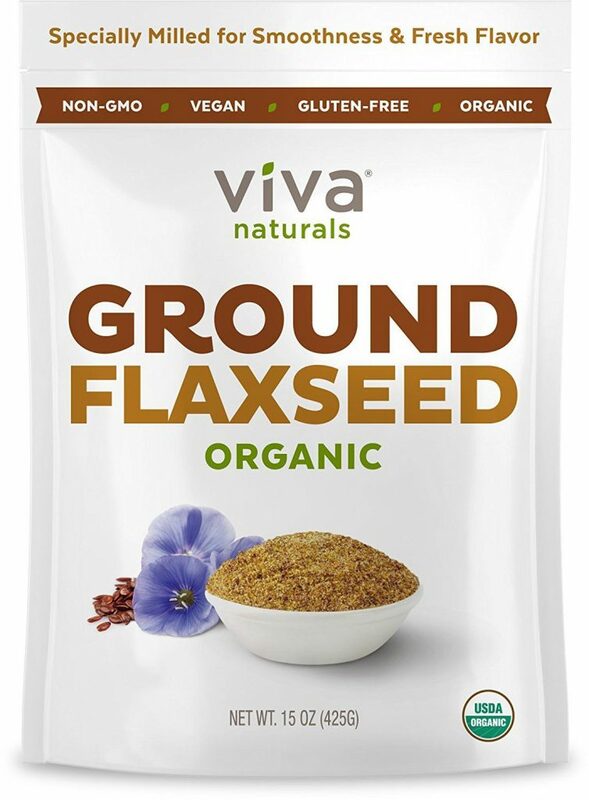 Ground flax from Viva isn’t loaded with carbs as many other supplements. It is 100% pure ground flaxseed that is naturally high in fiber and low in carbs. The omega 3-acids beneficially influence heart health, eye health, and boost the immune system. It is one of the lowest carb-fiber supplements available currently, with 1.5 grams of carb per serving. It’s a very soft and light mill that can be easily added to any meal on your plan. Apart from fiber, this supplement loaded with other nutrients such as antioxidants. 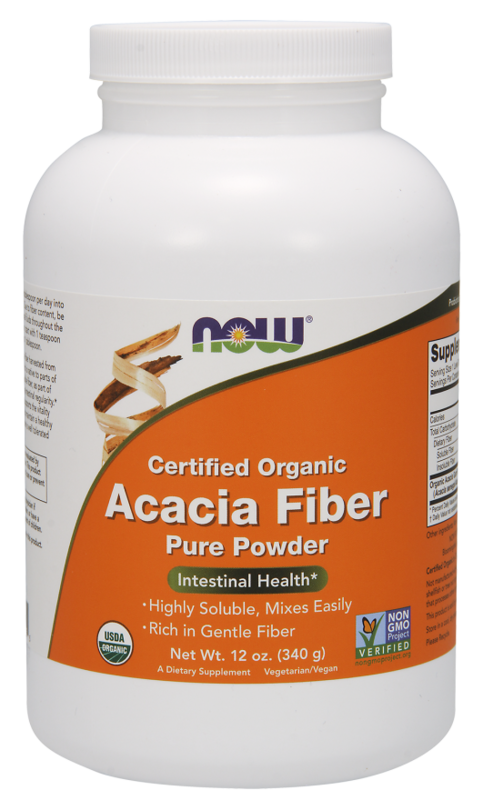 Made from completely natural and organic acacia powder, this type of supplement is a natural remedy to some abdominal and digestive problems. Heather’s Tummy Fiber has no color nor taste. What’s more, it can also act as a prebiotic and beneficially affect gut flora and health. It is a sugar free supplement that is easily used by the keto movement, low carb dieters, people suffering from IBS and chronic digestive issues. It contains only 2g of carbs and 10 calories per serving! A completely natural prebiotic dietary fiber powder, this supplement is tasteless, and it dissolves quickly. It promotes healthy gut flora and bacteria as well as improves digestive health. Add it to water, shakes or any food; it works well as long as you’re consistent. Benefiberisn’t primarily meant for weight loss. It helps you improve fiber intake and improve your digestion with 3g of fiber per serving. It is a good-quality supplement that can easily be added to any keto food on your menu, primarily beverages, and liquids. While you have to grind this one yourself, it’s still very welcome to any who follow the ketogenic diet. 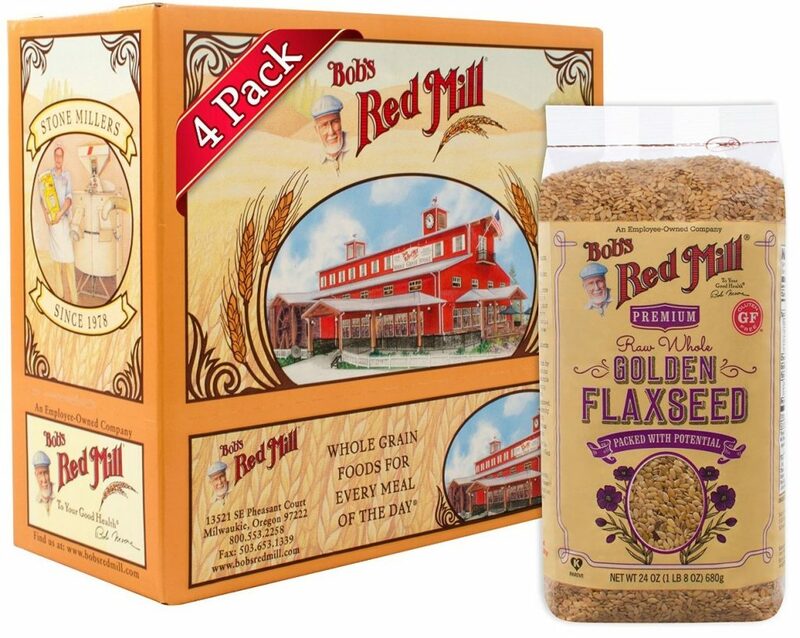 Red Mill Flax is rich in fatty acids, which promote a healthy heart and regulate blood pressure. Apart from that, you get a daily dose of fiber with only 3g of carbohydrates per serving. While the supplement has bits of seed hulls in the ground, it can be easily added to anything: eggs, meat, yogurts, salads, and much more. You can easily grind it with a simple coffee grinder. In any case, this supplement is as close to carb-free supplements as it can be! 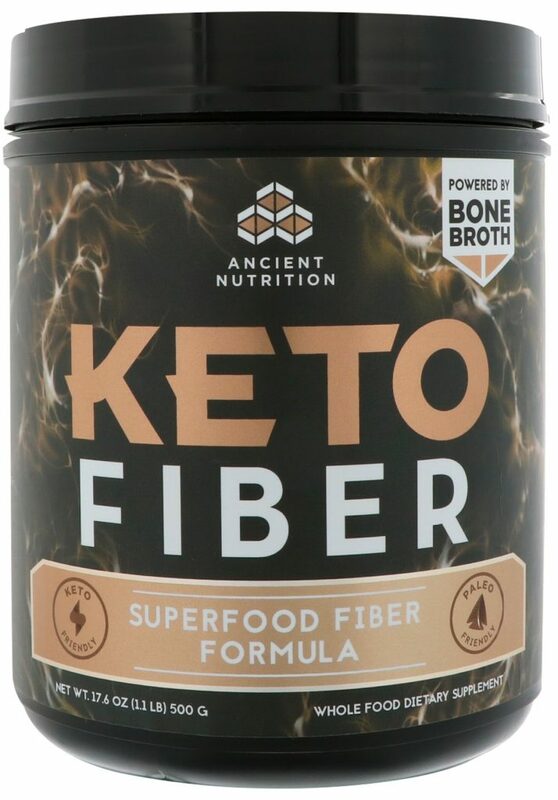 Ancient Nutrition KetoFIBER is a combo of flaxseeds, ginger root, MCTs, and other superfoods, this supplement is more than appropriate for keto dieters and a welcome addition to any low-carb diet or keto diet. It provides you with enough fiber for healthy body function, promotes normal digestive function and it tastes better than you’d expect! With only 2 grams of carbs per serving, this product is more than a keto-friendly supplement. It also contains 5 grams of fiber per serving and it combines many ingredients that overall contribute to a healthy and functioning system, including MCT oils. A soluble fiber, derived from Acacia Senegal tree, acacia fiber is also known as gum Arabic and acacia gum. This type of fiber promotes impressive health benefits. American Journal of Cardiology reported that 15 grams of acacia fiber daily could help improve cholesterol and help reduce body fat! Coming from a trustworthy brand, this supplement is 100% pure and organic acacia powder that’s gluten-free and available at affordable price. The fiber is very gentle, and the product contains zero net carbs! 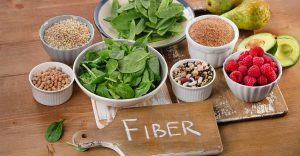 Dietary fiber is a type of carbohydrate that is found in various foods and plants, such as fruits, vegetables, cereals, lentils, nuts, and grains. In other words, dietary fiber helps us to feel full faster and longer, which makes it an excellent addition to any weight loss plan. 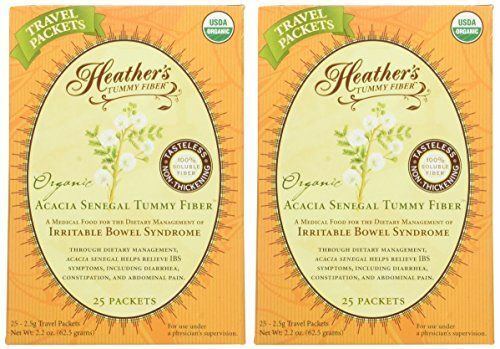 What’s more, dietary fiber contributes to many health benefits: it improves the digestive system, helps to regulate blood sugar and cholesterol levels, prevents constipation, balances bowel movements, and maintains our gastrointestinal health. Interested in the best source of keto-friendly fibers that are an appropriate low-carb and ketogenic fiber source for a keto meal plan? Here’s a list of keto fiber foods that you can easily add to your keto diet menu today! Consuming enough fiber is essential for the overall health, but most people don’t eat enough fiber-rich foods daily even though the recommended amount is between 25grams and 30grams of fiber whether you’re keto or not. But the problem is that many of keto-approved foods aren’t rich in fiber. That’s why many people decide to take supplements to compensate for the lack of fiber. Following the ketogenic diet, it’s challenging to get your daily fiber without a carefully-designed meal plan that makes sure you get enough fiber. After all, health specialists have been emphasizing the importance of this carbohydrate for years. The gut bacteria feed on dietary fiber even though we can’t digest it. And balanced and healthy gut means healthy body: lower risk of diseases, improved brain function, among others. Eating good-quality fiber on keto makes you feel full for longer. It helps to balance blood sugar levels which help to reduce cravings. What’s more, more fiber intake results in a weight loss, according to this review study. Constipation is a serious problem when you are on keto and can be solved by eating more fiber. This research showed decreased symptoms of constipation in adults in 77% of their subjects! 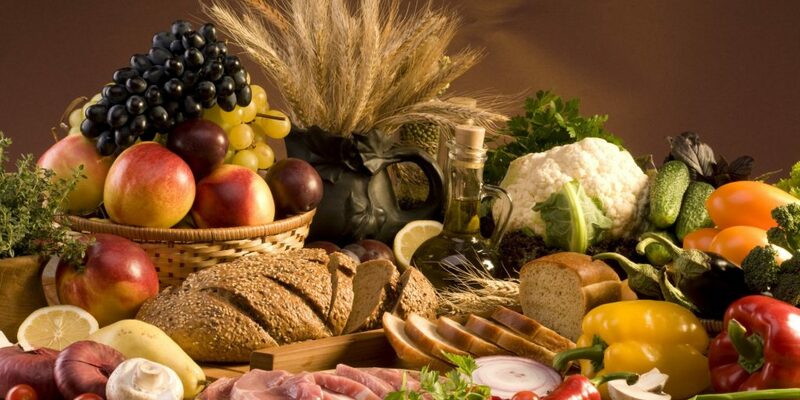 Eating more fiber overall contributes to lower cholesterol levels and blood sugar. What’s more, it also lowers the chances of heart disease, stroke, type 2 diabetes, and obesity. You can improve your overall health with regular fiber intake either from food of low carb fiber supplement. Still, this is sometimes not enough to eliminate the gastrointestinal problems as they’re not always caused by the lack of fiber on your plate. 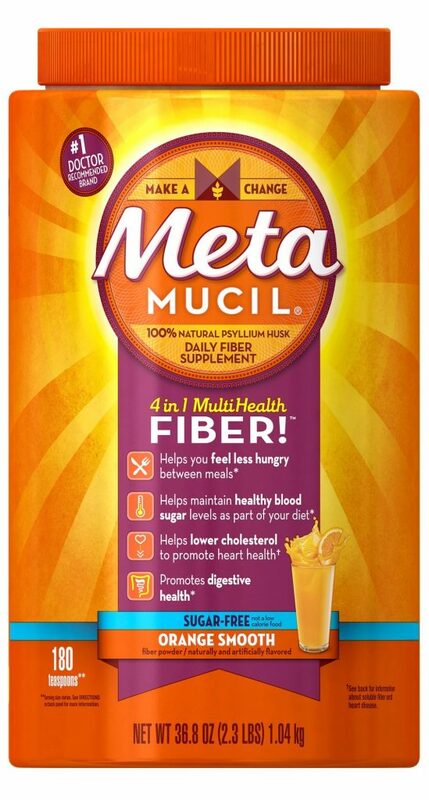 Metamucil is a form of Psyllium husk powder. It’s a soluble fiber supplement with a very high concentration of fibers. It’s very similar to Benefiber, which contains wheat dextrin. On the other hand, Metamucil contains psyllium husk powder. Still, these two have different effects on the body. If you’re looking for information in Metamucil on keto, you may find this study which reported the supplement successfully improving their levels of cholesterol and insulin. Still, Benefiber contains less additional ingredients as Metamucil (except its natural form): no sweeteners, colorants and other ingredients that may not be the best for the healthy ketogenic diet. Benefiber on keto diet may be more appropriate, but that is your choice entirely. Whether you’re on a keto diet or not yet, supplements are a must. You aren’t able to get enough fiber with your meal plans, yet you need it if you want to maintain a healthy body and lose weight at the same time. Regular bowel movements are more important that you may think; a healthy gut means a healthy body and fiber can help you get there. Yes, other factors can negatively impact your digestion, such as lack of sleep and water. Make sure to check all the steps double to see if you’re on the right track. In other words, listen to your body. You can stack up on supplements, but always make sure to eat plenty of food that contains fiber; there is plenty keto approved for consumption. Of all the supplements we reviewed, we found the one we think to be the best since it’s practical, affordable, safe to use, and comes from a reliable company. 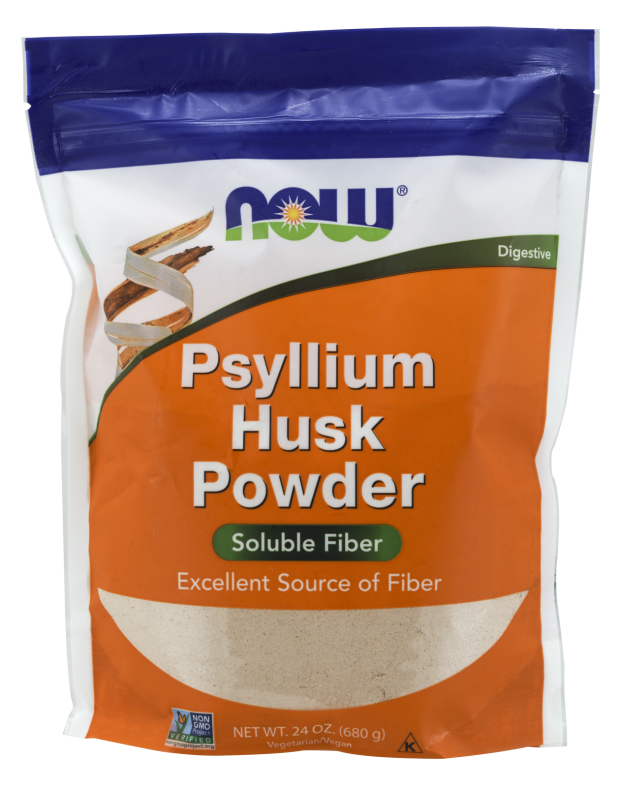 Our favorite best fiber supplement is by far NOW Psyllium Husk Powder. It packs all the benefits of a fiber powder yet it’s the easiest to take. It’s also useful for some health issues, such as bloating, digestive problems, diarrhea, and constipation.